The Samuel DuBois Cook Center on Social Equity at Duke University is hosting a formal program to celebrate the naming of our Young Scholars Summer Research Institute after Hank and Billye Suber Aaron on Thursday, April 12, 2018. The program will be held at the Nasher Museum of Art at Duke University beginning at 5:30 pm. 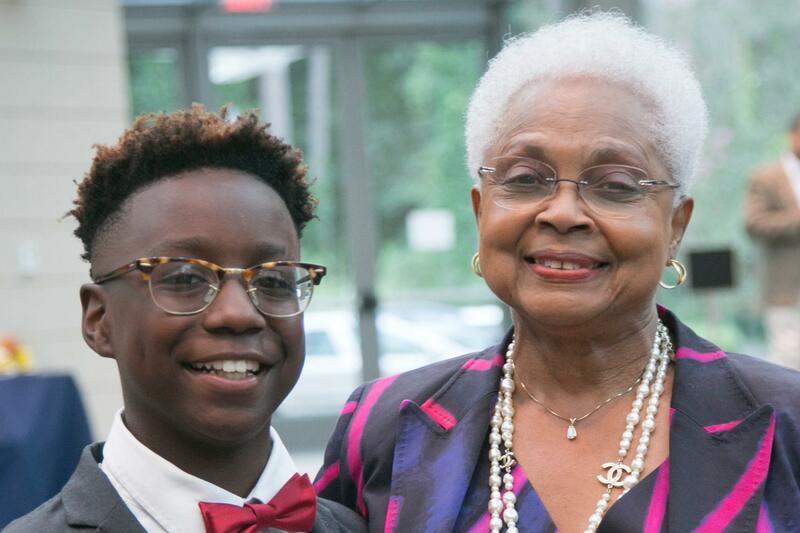 The Hank and Billye Suber Aaron Young Scholars Summer Research Institute is an educational enrichment program for middle and high-school students from the Durham Public Schools. Students design and prepare original research presentations, posters, and papers focused on policy issues that affect inequality. Due to the Aarons continued commitment to education, we can think of no one more deserving to have their name affixed to a program dedicated to training the next generation of teachers, researchers and social justice scholars. The event also will celebrate the legacy of Dr. Samuel DuBois Cook with the launch of a new book of essays from former students and individuals who were influenced by his visionary leadership, life and teachings. The event is free and open to the public. Please register online to attend.